It is the tradition in Sanskrit poetry that whenever anyone begins writing poetry, firstly he pays his respect to God and eulogizes him. This tradition has been adhered to by Bhatrichari. One can only experience the beatitude of that manifestation of knowledge, of that divine energy that is indecipherable, invincible, unfathomable, but is present in all the directions, north, south, east west and is present in all the times, past present and future. There are 3 types of people in this world- The ignorant, the experts and the idiots, the ignorant person can be taught and explained very easily. Similarly even a scholar can be explained very easy and smoothly. But not even a Pandit can explain or convince an idiot. Human can make the impossible possible, but to explain this to an idiot is absolutely impossible. A human could possibly remove a gem from the mouth of a crocodile, he can cross a turbulent ocean, can hold an angry snake on his head, but a person who is biased cannot be pleased and cannot be convinced. A human could possibly remove oil from sand by incessant efforts, a person who is thirsty and is an illusion make in reality drink water, a person could possibly even find horns of a rabbit, but a person who is biased can not be convinced or pleased. Even by using soft and polite words one cannot make wicked people gentle and well mannered. Even if sometimes ties an intoxicated elephant by the tender fibers of the lotus, even if some one makes a hole in the diamond with the aid of the anterior end of the flower of Shirish and make the salty ocean sweet just by adding one drop of nectar wilt but one cannot guide a person who is wicked even by giving sermons and advice like nectar. It is the greatest merit of an idiot to remain quiet. Lord Brahma has handed over to idiots such valuable art by which they can hide their stupidity and that is silence and to remain quiet. It is the best interest of the idiots to keep quiet in the company of scholars. People who are ignorant consider themselves as intelligent and become proud. Bhartrihari says that when I was ignorant I had become a like an intoxicated elephant, a person who thinks that he is omniscient, but when I came in the company of the intelligent, I realized I am an idiot. A selfish person does not realize his own shortcomings, such a person neither fears anyone nor does he care for any one. A bone which a dog eats is covered with plenty of ants is covered with saliva is dirty without flesh and is of a peculiar taste, smells foul. A dog eating such a bone does not even bother about Indra standing besides him, because a mean creature doesn’t realize the inferiority of the thing he possesses and is carefree. A person who lacks judgement is subjected to constant advertises. River Ganga incarnated on earth via Lord’s Shva’s hairs, the Himalaya mountains from the mountain on earth and from the earth and from the earth into the sea. In this way River Ganges ended up on the lowest plane. Similarly a person who lacks judgement ends up in a plethora of difficulties. Fire can be mitigated by air, the heat of the sun can be reduced by umbrella an intoxicated elephant can be brought under control by a good and poison can be eliminated from the body by many a incantations but there is no panacea for stupidity. A person who despite taken human birth does not engage in study, does not do penance nor does charity, does not imbibe maximum knowledge does not adhere to the code of conduct, does not imbibe virtues alike courage, patience, pity, these people are alike animals on earth. It is better to roam along with wild animals in the inaccessible forests and mountains rather than residing with idiots in the Indraloka. There is always fear of catastrophe, staying with the stupid and ignorant. We should not shoe disrespect towards the scholars because alike elephants who cannot catch or lie the fiber of a lotus flower, similarly the scholars cannot be enticed by money (Lakshmi) who is alike a blade of grass. We should not destroy the merits or qualities of a virtuous person. Although lord Brahma can destroy the Kamaivana and put an end to the pleasure of the swans roaming but he can never master the art of separating milk from water. Therefore we should never attenuate of destroy the virtues of a person. Knowledge is the most magnificent retrieve of human beings, it is a secret treasury and is the bestow of comforts, success and happiness knowledge’s the Guru of all Guru’s it is the principal teacher. It is alike a brother and family member in the foreign land. It is the most noble form of god. Amongst the kings it is knowledge which is venerated and worshipped and not wealth and riches. A person devoid of knowledge is like an animal. A person who has forgiveness, why does he need an armour? If he has anger, why does he need an enemy? If he has his kinsmen and kinswomen why does he need medicines? If he has bad people then why does he need snakes? If he has auspicious knowledge, then why does he need wealth? If he has shyness then what is the need of ornaments? If he has good poetry then what is the need of an empire? Cumulatively to say that knowledge is the noblest form of wealth. Knowledge can bring into control everything. We should have benevolence towards our kindred, compassion and pity towards our servants, wickedness towards the wicked, love towards the suave, virtuous with the royal people, tolerance towards the scholars, intimacy towards the wife. People who are embellished with above qualities are the pillars of this society. Company of good people can reduce and mitigate the ignorance of the mind, can encourage truthful speech and moreover cubances ones social status and prestige. It can elimitrate sin, makes and keeps the mind happy and helps in spreading name and fame. So one does not need to say that good company facilitates attainments of everything. A poet who has profound knowledge of the Rasa’s is always victorious. His body, the embodiment of success does not need to fear old age and death. One can beget children who are of good conduct, a dedicated wife, a happy master, loving friends, a faithful servant, a good mind, a good form, stable wealthy, a face radiant with knowledge only if Lord Vishnu, he who eliminates all the miseries of the world, becomes happy. Abstain from slaughter and violence, from enjoying someone’s else property, speak the truth, donate to a good person, do not speak or comment on another’s wife, to stop greed and avarice, to act with respect towards realization and welfare. Alike 3 types of men, lower, medium and noble there are 3 types of works, actions. People who are mean and inferior, fear the ensuring difficulties and do not work at all, people who are of the medium type start their work, but if any advertising befalls on them they give up that work. But people who are noble despite adversities before and afterwards work continually and accomplish their work. KSHUTKSHAMO API JARAKRISHO API SHITHILA PRANO API KASHTAMA DASHA APANNO API VIPANNA DIDH TIRITI PRANESHU NASHYATSWAPI| MATTE MA INDRA VIBHINNA KUMBHAPI SHITH GRASAIRA BADDHA SPRIHAHA KIM JEERNA TRINMATTI MANA MAHATA AGRESARAHA KESARI? Every person begets benefits and fruits corresponding to individual perservance and merit. Will a lion eat grass, who is hungry, suffering because of old age, weak, feeble, who desires to learn the skin of the forehead of an elephant and who is the most respected among the respectable. All people beget benefits and fruits according to ones qualities, perseverance and assiduity. A dog becomes happy when he gets a bone devoid of flesh, although it is not sufficient to pacify his hunger. But a lion goes and tries to kill an elephant for away even if a jackal is near him. Similarly in times of distress every person expect fruits corresponding to them perseverance. I wandered in all those places which were inaccessible because of water, dense, forest, mountains and forts but in vain. I renounced the pride of the clan and the caste and selflessly served the wealthy people. I, alike a crow ate in the houses of others with disrespect, out of greed. O Desire! The one who make one indulge in sinful deeds, you are yet increasing and growing by leaps and bounds and are not being satisfied. I dug the ground with the desire of exhuming some treasury, I blowed with fire, all the minerals found in the Mainaka Mountain, I crossed the ocean, pleased kings and August people by exerting tirelessly, I spent many nights meditating and reciting incantation coreted with so called super natural powers, in the grave yards but O Desire, O Greed, I did not even get a penny in return That is why you become satisfied and happy. I could not enjoy either of the material pleasures but we are badly tormented by the desires of attaining the pleasures. 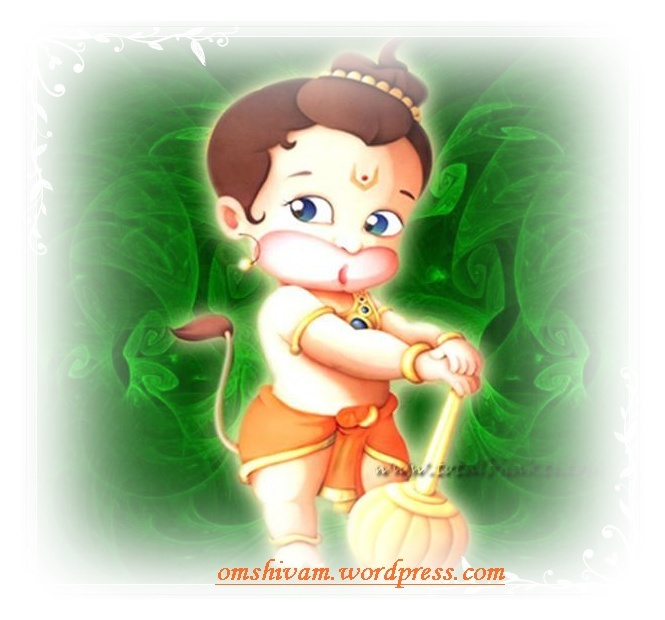 We did not practice penance but we had to bear spiritual sorrow or 3 worries Adhibhautik, Adhidaivik and Adhyatnik. We could not seek and stay in the company of good people, pious and sublime souls but we have gradually become old by indulging in material things and incessantly striving for the same. Our desires have not yet ceased, but we have become weak and feeble and have turned useless. There are wrinkles on my face because of old age. All my hair on my head have turned white and my hand, legs have turned loose and feeble. But my hope is alike a young beautiful damsel. May everything cease and get destroyed but hope and desire never gets emaciated. My material desires have dissolved. The fame I had amongst people also has ceased. Those friends who were kind hearted, loving before facing a state of misery, have expired. Now we can get up and stand with the help of a stick and that, because of ailments our vision is also impaired. The ignorant body yet fears death and perishing which means that it is attached to the worldly object despite of these conditions – This is all very surprising indeed. Although these material objects stay for a long time they are bound to emaciate. What is the difference then if I leave it or it leaves me? Then why don’t good people renounce these things? If one independently relinquishes all these material things it shall result in happiness and peace. That is why it is preferable that we only leave it. Those birds, which come and sit on our laps and stay in the mountain, drink those tears of joy and bliss which flow from the eyes of those noble sages who continually meditate upon the great Brahma. Because we are involved in seeing the beauty and appreciation in our places by the banks of rivers and lakes and also the gardens and are very satisfied with all this our age and life is reducing. That is why we should abstain from material objects and on the contrary engage in contemplation of the supreme cosmic soul. VISHEETASHAT KHANDAMAYI CHA KANTHA HA HA!! Our meals are only those things those things which are received as alms, which are tasteless and that to which are taken only once a day. There is nothing but the ground to sleep on. Our body is alike the servant. There is only one pain of clothes, which are term and are stitched at different places. Even after all this, sensual pleasure plagues us constantly. It is a deity that even if we are devoid of natural pleasures desires do not free us, this is indeed something despicable. Because the mothers were not aware of wheat is burning they inadvertently fell in fire and died. In the same way a fish gets trapped in the hook on being enticed by the flesh on the hook and loses his life. But in our material world, albeit we know the cause of destruction and misery we because of our greed do not like to give up sensual pleasures which is the root cause of all our adversities. It is really ironical – the glory of ignorance is indeed unintelligible. We can get tasty fruits from every forest with out any worry. We can drink pristine and sweet water from pure rivers flowing from different places. We can also get a bed covered with creepers and tender leaves and which is soft and comfortable to sleep on. Despite all this, misers, destitute are ill-treated when they seek help of the wealthy and rich. One who indulges in maternal pleasures in tormented by ailments emerging from Vata, Pitta and Kafa. Similarly there is fear of estrangement from son and misconduct in a family. There is fear of loss of wealth, fear of miserliness fear of enemies, fear of old age in youthhood. There is a fear of meaningless debate in the scriptures, there is a fear of being criticized by the bad people on aspects like merit, knowledge humility etc. the body fear death and annunciation. In this way every thing on earth is plagued by fear. It is only detachment that is least troubled by fear. Therefore it is in the best interest to renounce, worldly things and to become detached. Our mental and physical health does not remain sound because of many mental and physical ailments. Adversities continually torment those who are wealthy and rich and because of fate one has to surrender to death after we take birth every time, then what is that which is stable and unchanging? It is unfortunately nothing. Therefore we should not desire for pleasure precarious and capricious. The world is alike a momentary high tide wave which is created because of the joy of enjoying worldly pleasures. Even our lives tend to cease within no time. That youthhood in which we are involved with woman and sensual pleasures is also momentary. That is why O scholars who engage in giving sermons! Consider this world meaningless take pity on the people and advice people about the truth. O, intelligent people amongst. The clouds of pleasure of humans lightening is going to strike i.e. pleasures shall soon cease to exist. Our life is transitory and momentary just as a drop of water over the lotuses. The passions created out of youthhood are also unstable. Realizing this engage in meditation and contemplation and attainment of super natural powers so that one can make the mind stable and calm. One should also contemplate on the supreme cosmic soul. Alike the wave occurring during high tide life is transitory and unstable. Youthhood is also momentary. Even wealth, house, villages, animals all are transitory. All pleasures resemble the lighting amidst clouds of rains. Even the tight embraces of the young damsels are transitory. To cross this ocean the if the maternal world and fear one should seek recourse to meditation on the Brahma the supreme cosmic soul. Old age is alike a tigresses frightening each and everyone and ailment are alike enemies which attack on the body all the time. Age is drained alike water, which gets drained from a perforated earthen pot. Despite this people incessantly engage in activities, which eventually results in emaciation and perish. This is really very surprising. Even day when the sun rises and sets our life becomes all the more emaciated. We don’t even realize the time spent on out work, our body, our domestic work and other things. Despite seeing old age, birth and death our mind does not fear anything. This proves that the entire world has drunk the wine of attachment and greed and is not in its senses. This is indeed the glory of time that despite realizing the truth we tend to neglect or overlook it. To free oneself from the vicious and obnoxious cycle to life and death and to attain salvation. I did not meditate upon the lotus feet of lord Shiva. I did not even try to break open the door of heaven by availing to methods like Yagya etc. I did not even embrace the women in my dreams i.e. I did not even engage in Dharma and Karma out of the 4 attainments delineated. I did not think of the lotus feet of Lord Shiva, which are given of liberation. Other than earning wealth we did not attain rest of the three attainments. Moreover we our birth resulted in the emaciation of our mother’s youthfulness. I did not learn those things that were devoid of shortcoming. I didn’t even earn the required wealth to do charity and also for enjoyment. I did not serve my parents with a clean and pure dedicated mind. I couldn’t even embrace those beautiful damsels with beautiful eyes in my dreams. I spent most of my time alike greedy crow who is always ready to eat others food. I could not attain Dharma by serving any parents, could not attain Artha by earning required wealth and Kama by embracing the beautiful damsels. On the contrary we spent most of the time then by about filling our stomach without acquiring knowledge imperative for salvation. The Shruit’s have demarcated human life to be of around a 100 years. In this 50 years have got wasted in night. 25 years are gone in childhood and old age. And the remaining 25 years are emaciated in ailments, estrangement from the loredones and to earn livelihood. In this life which is alike the waves of an ocean how can one expect to acquire happiness. According to Bhartruchari, alike the artist in a drama humans spends some time as children, some time as a love born youth, some time as a miserable pauper, sometime as a wealthy person and finally sometime as a very old man. With the curtains falling down in a drama, the person goes to pleasure finally and inevitably death pounces upon you. PARIBHRAMASI KIM MUDHA KVACHAN CHITTA! The work, which has to happen, has to happen in the determined method and in no other method. So one should relax and take rest. One should work freely devoid of fear of tension. We should neither think nor ponder over the past nor should we waste time imagining the future. I think, of all those things, which I can enjoy in the present. Do not indulge in any type of sensual pleasure, control your senses, and abstain from all the maternal and worldly objects and tread on the path of knowledge with shall accrue in mitigation of all miseries. In this way realize the true self. Avert your senses from going towards mortality and morbidity of this physical world. Because the happiness of the mind itself is everything. 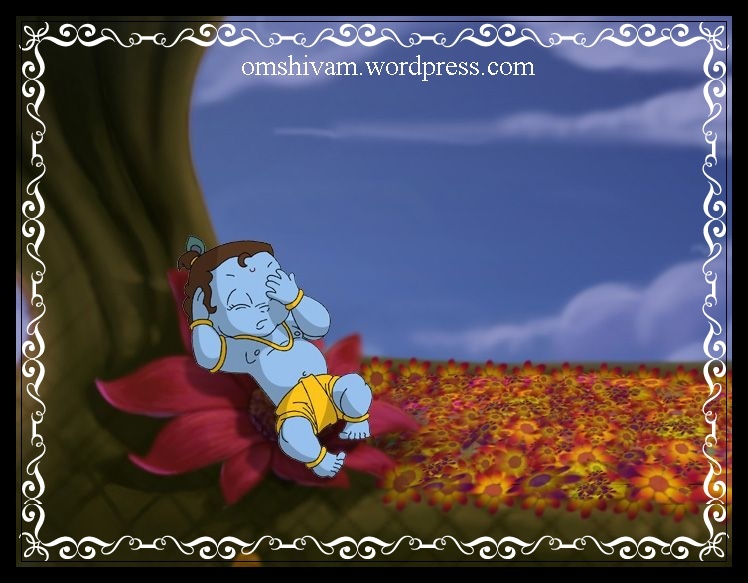 What is commendable if one achieves all the wealth merely to fulfill all the maternal desires? 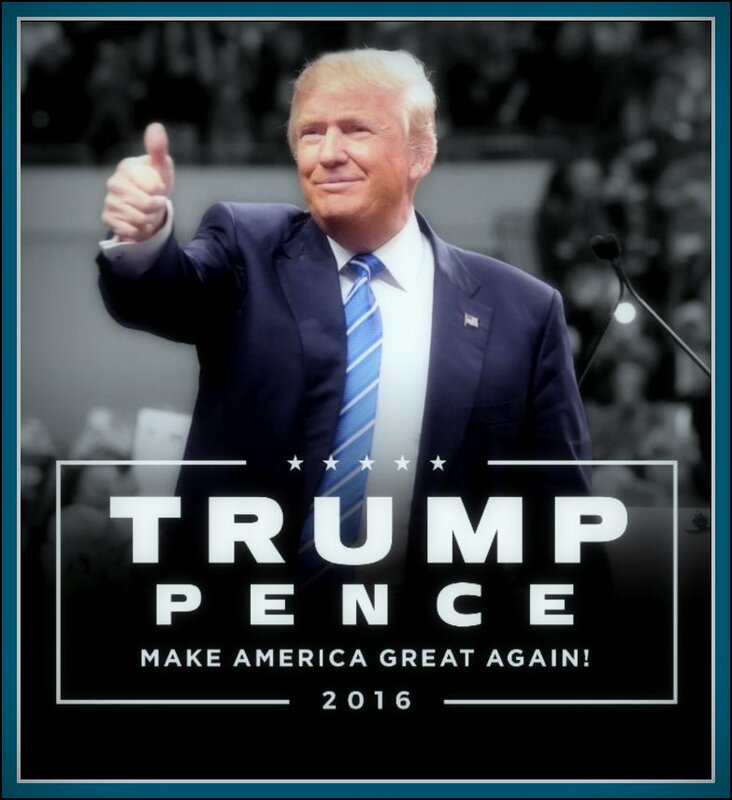 What is great if one defeats the enemy by one’s valiance and courage? What is the big thing if one has accumulated people who are lovers of riches and wealth? What is the use of even that penance which facilitates living till the time of annihilation? 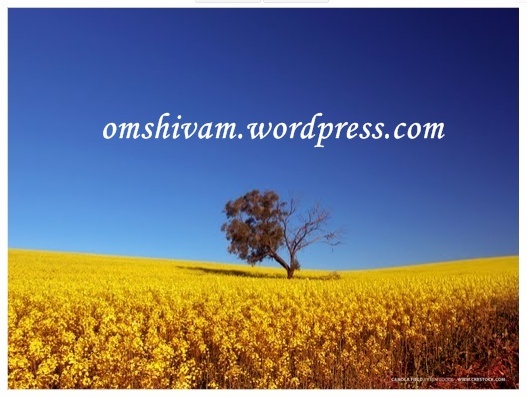 In reality it is not possible to become happy by availing to all the above mentioned things. One should worship Lord Shiva, we should be tormented continually by the fear of birth and death, and we should not be attached to our friends and brothers and should be free from sensual pleasures. We should not accompany bad people and should seek refuge in the forest. What more can be desired if detachment parades into our suffering is detachment. What shall happen even if are read the Smritis, Vedas and Puranas, Reasoning grammar, Shatadarshan and other scriptures? The Brahmanadiks who reside in heaven and are the great noble souls of the Vedas, who stay in huts and in villages and are giver of this and for whom holy bath and Sandhya (offering to the sun god) are mere a play are no way concerned to this. 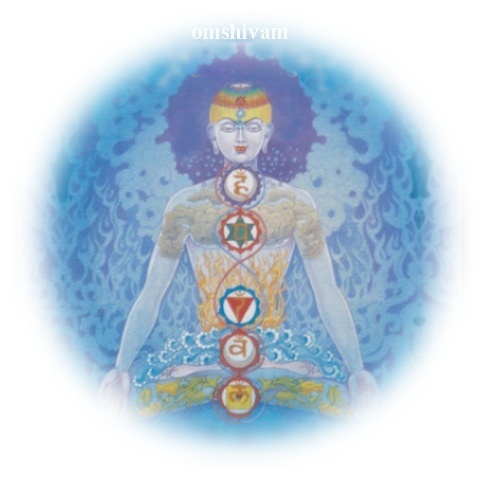 To be relieved from all material bonds it is better to meditate upon the cosmic soul Brahma. As a result one shall attain eternal happiness. Every else is a trade or the business of a trader. Old age is a stage that puts a human into miserable state. The body bends the speed of walking reduces, the teeth fall of vision is impaired one cannot hear properly, brothers and friends turn a deaf has towards what we say, the wife does not serve us, moreover even the son behave alike an enemy. Indeed, senility is extremely painful and miserable. Until the health is good, senility shall not torment the body, there is energy in the senses the age shall not cease. It is during the period that the scholarly person should strive for the well being of one self. What is the use of digging a well when ones house is on fire? It is idiosyncrasy not to strive for one’s welfare alike digging a well when the house is on fire. It is worthless to strive, for all that not done, in youthhood, in old age. When one’s honour and fame retard, when one does not have enough wealth, when the beggar becomes frustrated and goes away, when there is less food, and when dependents, children, grandchildren and friends go away, when all the servants go away and when the body becomes weak and feeble of river Ganga in the Himalayas and engage in meditation and contemplation. All these rosy desires were lost in the recesses of the mind-youthhood also passed away. Without the ones to praise all the qualities and merits that one’s embellished the body are now decaying. The lord of Death suddenly comes and is now ready to take our life. What is then right in such a situation? 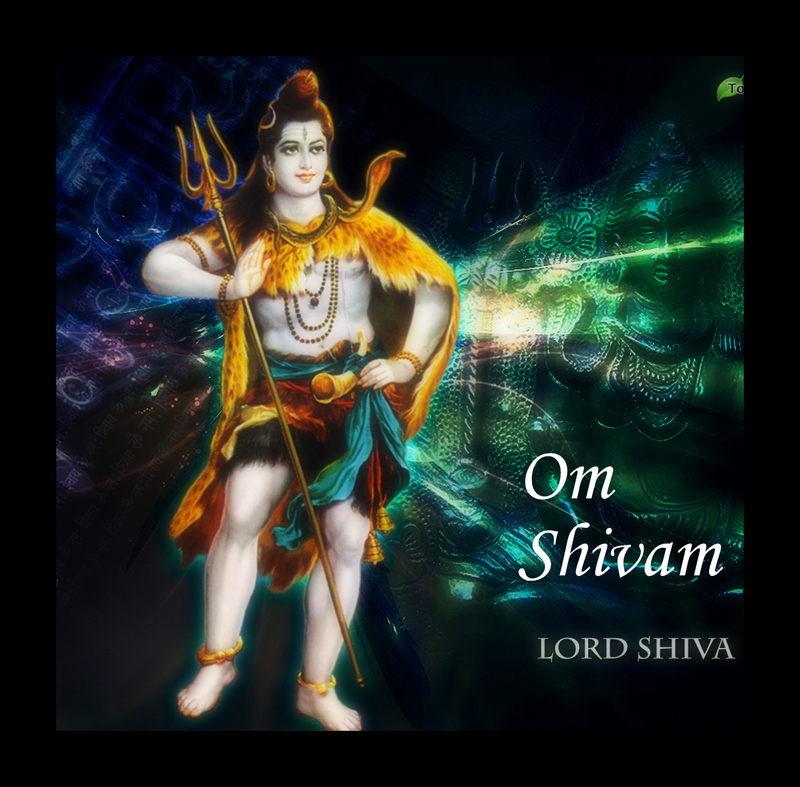 It is only the lotus feet of lord Shiva that can liberate us from this world. 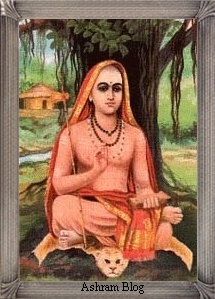 Praising Kashi the poet Bhartrihari says that where the method of meals in a garden itself is penance where the undergarment Kaupeen is the most beautiful attire, begging for alms itself is the glory, to be on the deathbed is auspiciousness. Such a place should never be deserted by scholar and they should not go anywhere anytime. Alike an ocean which does not become unstable because of the play of the fish and remains calm and quiet, similarly when the cosmos becomes one and only one a thinker does not become greedy. He who nourishes his body by food given by others, who is devoid of relations and friends etc, he who lives in himself and is engaged in his work, who is detached from worldly objects, who wear clothes old and torn, thrown on the road, who is free from honour and pride, is the one whose mental flaws and short comings are eliminated and such a person gets absorbed in the bliss of Brahma on becoming Yogeshwara. A snake can stay alive merely on air. For the cows the natural land is their bed and soft grass is their food, because of which they are happy. But god bestowed upon human beings intellect so that they find food for themselves. But the intellect seems to have got destroyed because of constant usage and search. The one who practice Yoga i.e. the Yogis should stay happy with whatever Lord Brahma has bestowed up on the them and that they should liberate themselves from the word by meditating upon Brahma through out life. What is it if one has old, torn clothes or white clothes? What is it if one has only one wife, elephants and horses? What is great if one’s meal is cooked in excellent quality rice or what is it if one eats stale food? What is the use of all wealth and riches if the flames of self does not enkindle in the heart? Whose bed is the huge boulders of the mountains whose house is the caves on the mountains, who attire is the bark of he tree, whose only friend is the deer, whose food is the fruits and flowing pristine water of the river, whose copulation is knowledge of divine cosmic soul who has never ever availed to anyone’s help anytime. I consider him only to be god. Whose father is patience, mother is forgiveness, faithful, wife is peace, true friend is truth, sister is pity, brother is restraint of the mind, bed is the ground, clothes are the directions and food is the elixir of knowledge. O friend! The person who possesses these above-mentioned family members is devoid of all types of fears. Seriousness is the main virtue of noble men who live with dignity whereas a dog wags its tail to someone who throws a loaf of bread to him. It even falls at the feet of the bread-giver. But a lion looks seriously at the person who gives him food and eats it only after much insistence. The whole world is changeable. Everyone who takes birth is bound to die. But, life of only those people is successful, who add to their clan. Such as, a bouquet of flowers either adorn someone’s hair or wither away in the forest. Similarly, great people either attain paramount position in the society or pass their lives in solitude. Though there are many respectable planets like Brihaspati, yet the demon Rahu, which is nothing but a head, has no hostility to either of them. It attacks only the sun and the moon, which is specially round and bright on a full moon night. Similarly, brave people neglect the common public and attack only the powerful enemies. A person, who does not differentiate between just and unjust, must be criticized. Dignity of wealth is supreme. Caste, virtue, morality and bravery have no match against wealth. All of them might be destroyed by one way or other but if one has wealth, all these virtues do not count for him. By the virtue of wealth, a man acquires even those merits, which he was lacking earlier. Those who have wealth are regarded as noble, savants and virtuous in the world and everyone likes to see them and hear them. Bad policy destroys the king. Yearning for comforts destroys ascetics. Excess of love corrupts a child. Absence of study destroys a Brahmin. An evil son destroys the clan. Company of evil ones destroys the character. Drinking of wine destroys shame. Negligence destroys agriculture. Prolonged stay abroad destroys love. Absence of love destroys friendship. Injustice destroys luxuries and squandering for wrong causes destroys the wealth. Wealth can either be donated or spent for enjoyment. Otherwise, it will be destroyed. Those who neither donate nor spend their wealth simply destroy it. What is in a man’s fate, he gets it even in the desert. He cannot get more than his fate even on the golden Sumeru Mountain. Have patience and do not cry before the rich people because a pitcher can fill equal amount of water from a well and from the sea and not more than its capacity. Everyone gets according to his fate. One must not spread his hand before everyone for help. O friend! Listen to me carefully and don’t be fooled by the appearance of the clouds. Despite a resemblance in appearance, these clouds are different in nature. Some of them will rain torrentially to drench the earth whereas others simply thunder. Despite having virtue evil ones need to be abandoned. Though snakes have jewel on their hood, yet they are formidable and can bite any time. Greed is the greatest demerit. Backbiting is the only sin. Truth is the only penance. Pure mind is the only pilgrimage. Reputation is the only ornament. Good knowledge is the only wealth. Infamy is the only death. Hence, a man must strive to give up evils and acquire merits. It is impossible for a man to live with dignity as long as he earns his living by service. All the goodness of a servant is taken for granted as his weakness. A servant who does not raise his voice is termed as mute. A servant who speaks for his interest is termed as garrulous. A servant who hangs nearby is termed as importunate. A servant who stays away is termed as impractical. A servant who forgives is termed as coward. A servant who is intolerant is termed as impolite. Thus, the path of service is indeed very difficult, even a Yogi cannot beat this path. Friendship of the gentlemen is stable and long lasting whereas the friendship of evil people is momentary. Friendship of the gentleman is like the later part of the day when the shades continues to lengthen till evening. Friendship of the evil people is like the shade of earlier part of the day, which shortens continuously. Some organisms are hostile towards another creature without any reason. A deer sustains himself on grass and water. A fish lives in the water and a gentleman lives in the society without begging for anything. But the bird-trapper, fisher and evil people are hostile towards these three without any reason. It is said for the great people that crises add to their patience; progress adds to their forgiveness; assembly adds to their speaking power; war adds to their bravery because such people do not lose courage during emergencies. Donating secretly, treating the guests heartily, doing good to others silently, speaking of others’ charity and not being proud for wealth are as difficult for the gentleman as a walk on a sharp edge of a sword. Even after getting unexpected wealth, heart of a gentleman remains as soft as a lotus. But in emergency, the heart of the gentleman becomes as hard as a rock. Water falling on a very hot iron doesn’t leave even its trace. The same water appears as pearls on the leaves of lotus. The same water falling in the shell becomes a true pearl. Similarly, virtues develop in people because of good or bad company. He is truly a son who pleases his father with his virtues. She is truly a wife who wishes well for her husband and he is truly a friend who behaves with similar passion in sorrow and happiness. Only a few fortunate ones enjoy the company of such people. One must be faithful to his partner. A man must have a single tutelary God whether Vishnu or Shankar. One must have only a single friend whether a king or an ascetic. 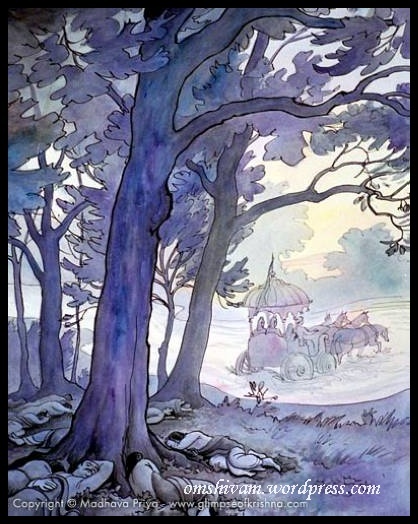 One must have only one abode whether in the city or in the forest. And one must have only a single wife whether extremely beautiful or plain. At the time of fruiting, mango trees bow down. Clouds filled with water hover downwards. Similarly gentlemen acquire humbleness upon getting wealth. Humility is the natural instinct of altruistic man. Listening to the Vedas is the true ornament for the ears and not the earrings adorn the ear. Donating to a deserving person adorns the hands and not the gold. Altruism decorates he body of merciful people and not smearing the sandal paste. A true friend always wishes well for his friends. A true friend stops his friend from committing sins. A true friend aspires his friend to beneficial things. A true friend guards the secret of his friend. A true friend reveals the virtues of his friend. A true friend doesn’t desert his friend in crisis and helps him. Gentlemen give up their interest for the well being of the others. Some people work for the benefit of others only when their interest is hurt. Some demonic people kill the interest of others for their own selfishness. There is no word to define the people who kill the interest of others without any apparent reason. Friendship of the gentlemen is like mixing of milk and water. Water and milk appear single when mixed. When milk is put on fire, water cannot see its burning so it sacrifices itself to save the milk. The greatness of the great people is reflected in their behaviour that they take every kind of people in their shelter. Sea is an enormous body of water. On one hand in it rests Lord Vishnu on the other live fierce demons. On one hand, in the sea, hides Mainaak, the Mountain afraid of the Indra’s ‘Vajra’. On the other hand, the sea also stores frightening fires. Rare are those who engage in altruism all with their mind, voice, action and body. Such great people are indeed rare in the world who devote their mind, words and actions for the charity of others; who magnify even the smallest virtue of the others and who always remain pleased. Even the evil ones acquire virtues in the company of meritorious people. Golden Sumeru and silver Kailash have no use because the trees have not changed their virtues on them. But, Malayachal is indeed meritorious for in its company, trees like neem have become sandalwood. People who have great patience take rest only after finishing their job. The gods did not feel satisfied with the jewels they got from the sea, nor did the fear the deadly poison that emerged from the sea. They continue to churn the sea until they got the ambrosia. Similarly, intelligent people do not stop without achieving their goal. On the way to achieve his goal, a man of action sometimes speaks on the earth and at other times sleeps on cozy bed. Sometimes he eats herbs; at others, he relishes delicious food. Sometimes he wears rags; at others, he enjoys silken clothes. Still, a man of action does not care for his miseries. HATPASTANTISHITEN SATVARAMASAU TENAIV YAATAH PATHAA LOKAH! Fate is the only reason for the rise and fall. A snake, which is desperate of life, gets a new lease of life when a mouse cuts open a way into its basket. The snake eats away the mouse and escapes through the same hole. Lethargy is the greatest enemy of human body. Enterprise is the greatest friend of human body. An enterprising man has no sorrow. A man must not give up his patience even in abject misery. A tree, cut to the ground, crops up again. The moon, waned in darker phase, regains its round shape in the brighter phase. Considering this, a man of patience does not feel sorry even in abject misery. Enterprise strengthens the fate. Even the king of gods, Indra lost the battle to the demons though he had a mentor like Devguru Brihaspati, had a weapon like Vajra, had gods as soldiers, had a castle in the heaven, had Vishnu as his aid and had Airavat, the elephant as his vehicle. It all shows that the fate is supreme and futile enterprise has no use. Anything must be done after proper consideration only. Though sorrow and happiness are the fruits of previous actions and the intelligence is also mended by the actions. Still, a man must thoroughly consider anything before doing it. A bald person, seeking shelter to protect his head from the scorching sun, reaches under a coconut tree. But there, a large coconut fell on his head. Similarly, misfortune follows an unfortunate person wherever he goes. PATRAM NAIV YADAA KARIRVITAPE DOSHO VASANTASYA KIM? NO LUKOAPYAVALOKATE YADI DIVAA SURASYA KIM DUSHANAM? DHAARAA NAIV PATANTI CHAATAKMUKHE MEGHASYA KIM DUSHANAM? YATPURVAM VIGHNAA LALAATLIKHITAM TANMAARJITUM KAH KSHAMAH? It is not a fault of spring if not a single leaf appears on the tree of Kareel. It is not a fault of the sun if an owl can not see in the day. It is not the fault of the clouds if not a single drop of water falls in the beak of Papiha. Whatever Brahma has written as fate for someone, no one can change it. PHALAM KARMAAYATAM YADI KIM MARAIH KINCH VIGHINAA? Karma is indeed great. 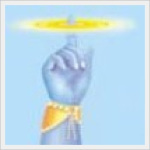 Anybody can obtain the thing of his desire through Karma. We worship the gods but they too are bound to the fate. Should we worship the fate then? That too gives as per the Karma. Hence, we salute the Karma. Even the God does not go against the Karma. It is the Karma, which employed even Brahma in the creation of the universe like a potter. It is the karma, which forced Vishnu to take the pain of arriving in incarnations. It is because of karma that Lord Shiva roams here and there begging with a bowl in hand. And it is the karma, which forced the sun to take a round in the sky daily. We therefore salute the karma. One must consider the consequences of an action before doing it. Results of a hurried action pierces the heart life-long as a thorn. To those who have strong backing of good deeds in their previous birth, even the forest appears as a beautiful town. Everyone becomes his kith and kin. And the whole earth appears to them full of gems and jewels. Moral principles are the true benefactors of a living being. Company of the meritorious people is the only benefit. Company of fools is the only sorrow. Wastage of time is the only loss. Love for the religion is the only efficiency. Controlling the sense organs is the only victory. A woman who acts as per the wishes of her husband is the only beloved person. Knowledge is the only wealth. Staying in the home country is the only comfort. And obedience to the dictates is the only rule. Only such a person can win the three lokas (worlds) whose heart is impenetrable for the flirting eyes of pretty women, who does not lose his temper and who abstains from mundane comforts. Such as the radiance of the sun covers the whole earth; similarly a single but brave among the bravest person can conquer and control the entire earth.